Comments - Handsome scene of a two beauties and an attendant taking an afternoon stroll along the shore during the summer. 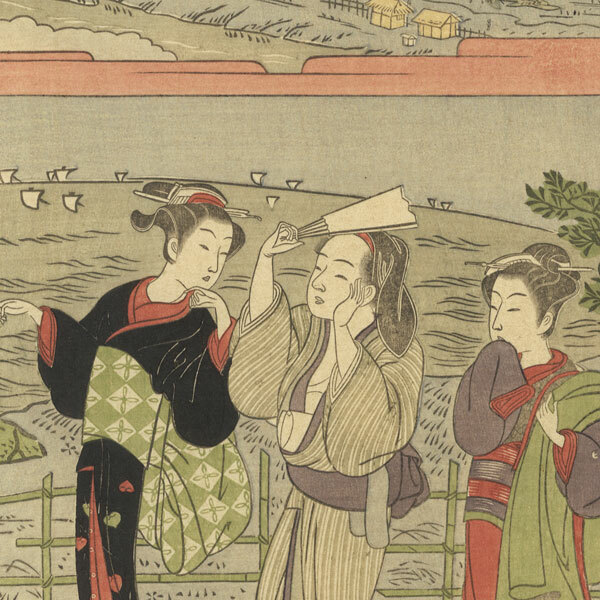 The man fans himself against the heat, and one of the women carries a kimono over her shoulder. 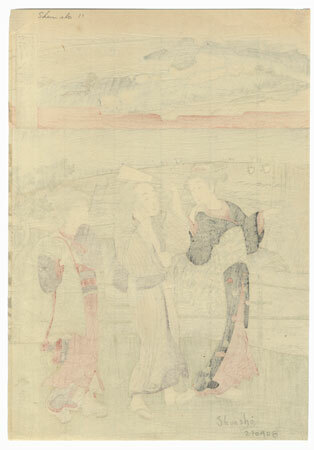 Sails dot the horizon, and the inset above shows structures lining a road along an embankment, and the entrance to a shrine. 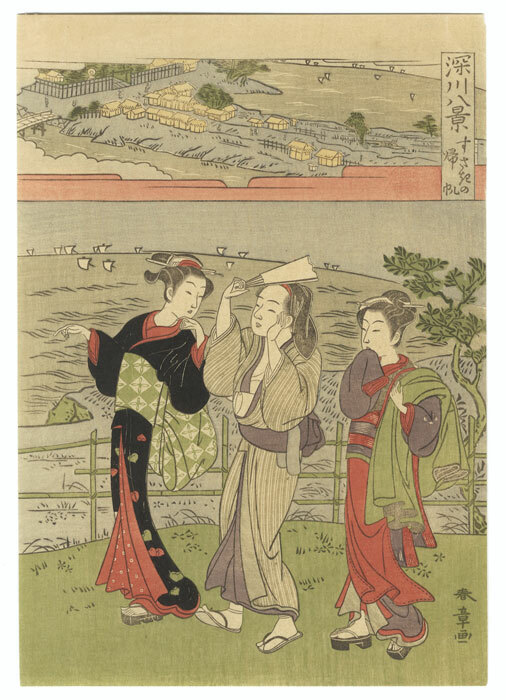 A classic Edo era subject with a lovely soft color palette. Image Size - 10 5/8" x 7 1/2"
Condition - This print with excellent color and detail as shown. Slight thinning on reverse at top corners from previous mounting. Slight toning. Please see photos for details. Good overall.